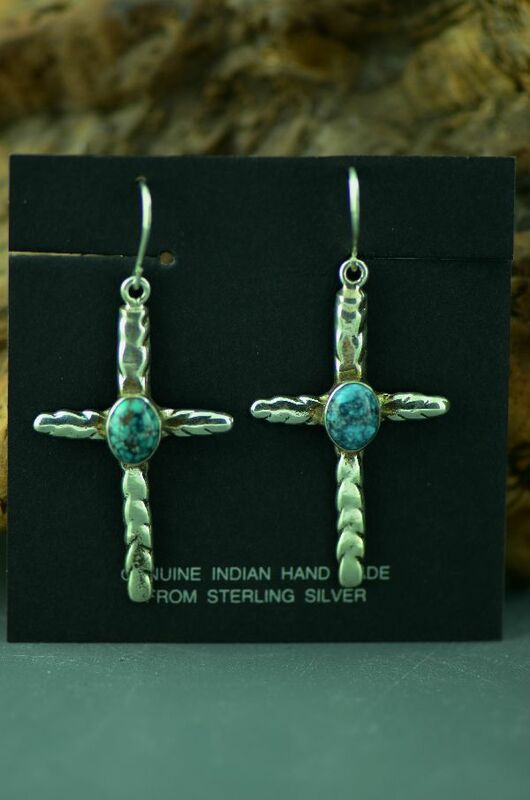 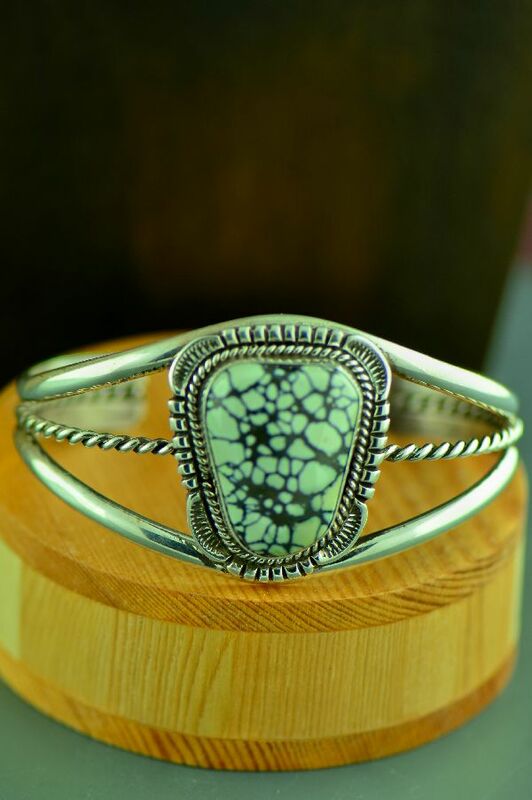 This sterling silver New Landers Turquoise bracelet is handcrafted by Sammy Eagle, Navajo. 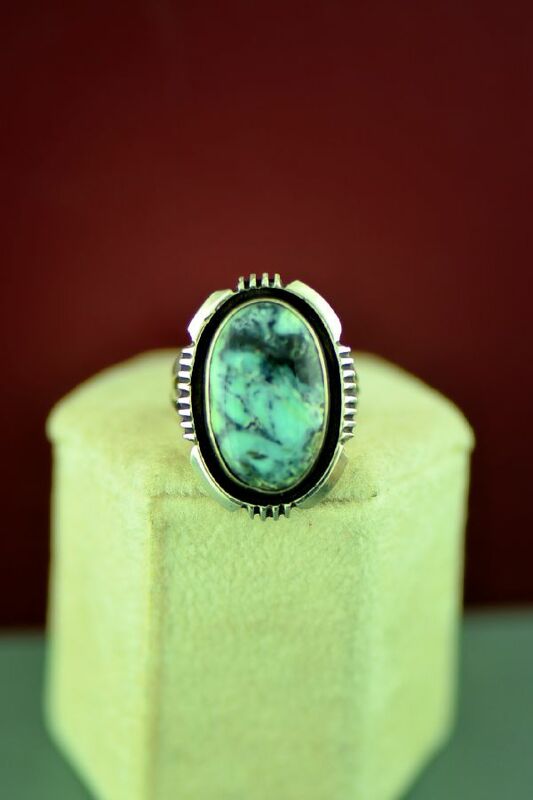 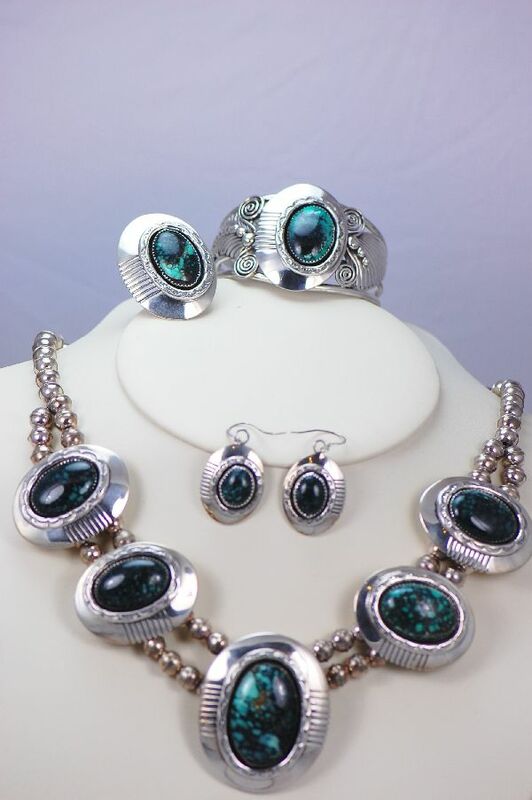 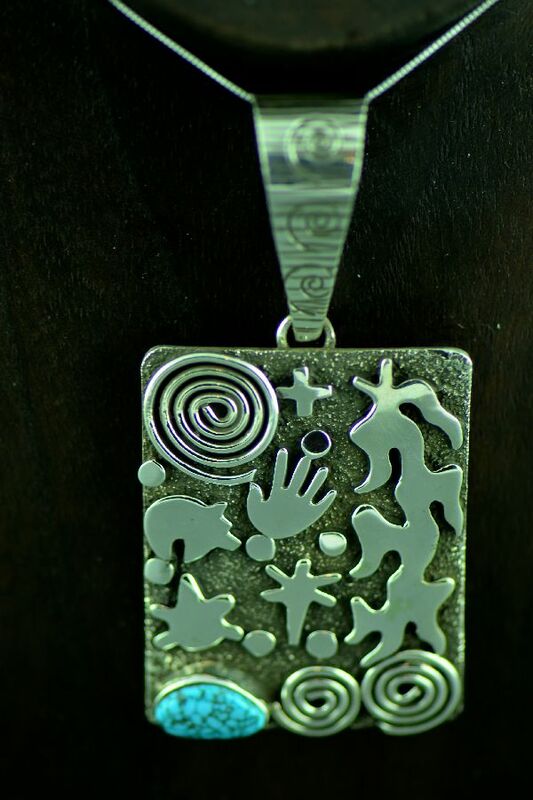 The artist selected a beautiful New Landers Turquoise stone to create this piece of art. 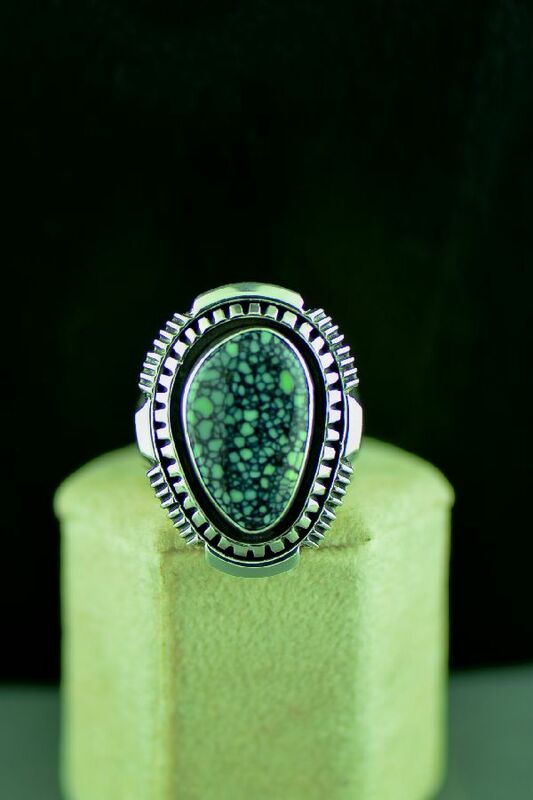 The New Landers Turquoise stone measures 5/8” tall by 1/2” wide. 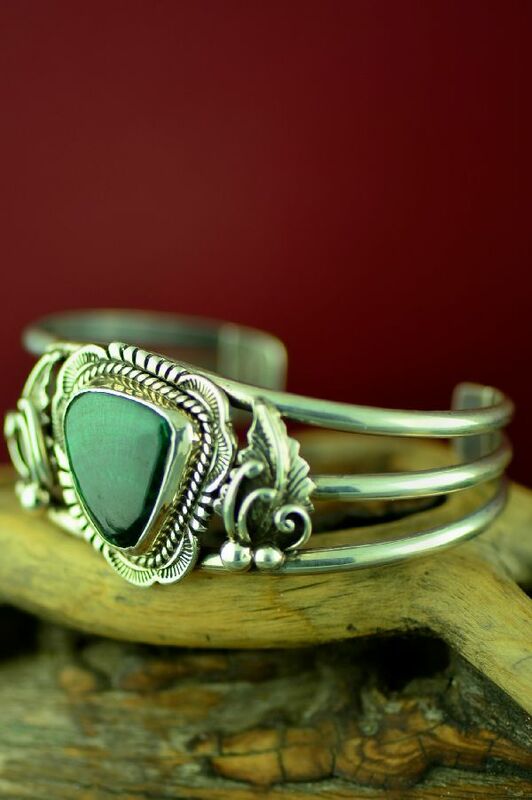 The bracelet is 7/8” wide and will fit a 6-1/4” to 6-3/4” wrist and has a 1-3/8” opening. 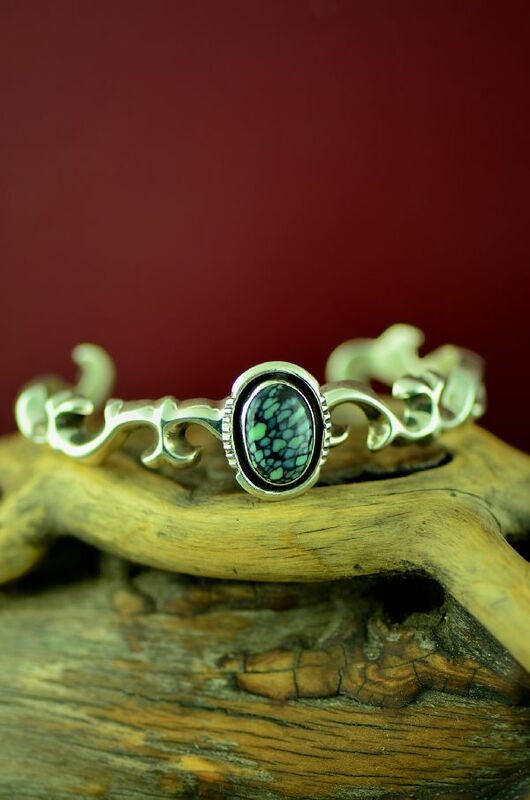 This bracelet weighs 25.7 grams or .905 ounces.